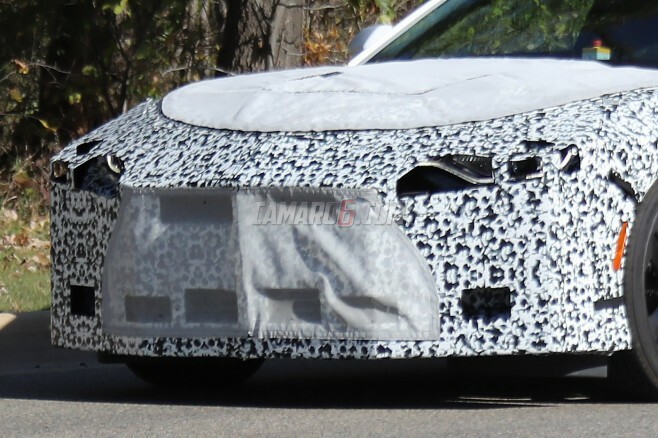 The 2019 Camaro refresh model prototypes were first spotted in May but have not been seen with more revealing camouflage until now. While the heavy camouflage still obscures the styling changes to the front and rear ends, revised headlights and tail lights are now partially visible. You’ll notice that the ZL1 model does not have front end camouflage, likely signaling that it will not receive any changes to its front end styling or headlights. Check out the full 2019 Camaro prototype photo set inside.